Shakarkand is sweet potatoes in Hindi and this dessert is a rich pudding with reduced milk and grated sweet potatoes. 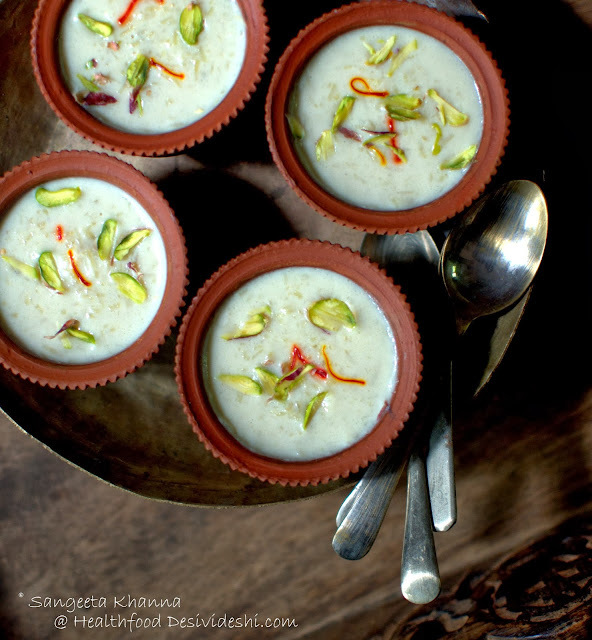 Rabri or Rabdi, as it is called in the Hindi heartland. This shakarkand ki rabdi is not as heavy as reduced milk rabdi and is sweetened naturally too. Indian sweets are known to be really heavy on ghee and sugar both. Refined flour has also made it's way through Indian sweets but the Indian repertoire of desserts is not limited to refined ingredients. Natural ingredients including naturally sweet fruits and tubers have been used to make lip smacking desserts and sweets for ages. Apple kalakand with no added sugar was made this season and loved by all.We just need to look beyond attractively packaged sweetmeats on the shelves in the festive season to find a few naturally sweet ingredients that can be cooked easily for festive desserts. Shakarkand ki rabdi is one such dessert that the folks used to cook probably every day when there was a fresh crop of sweet potatoes. 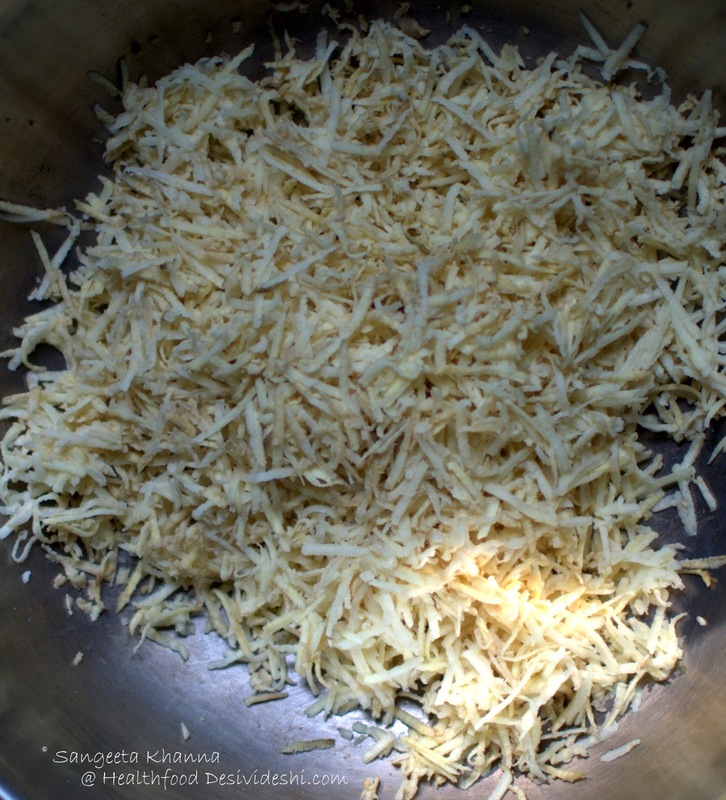 I have heard stories of shakarkand ki rabdi from my village folks, I was never fortunate enough to taste that slow cooked rabdi over wood fired stoves, naturally smoked and all that. I can just imagine how that would have been tasted. My grandmother used to cook this shakarkand ki rabdi in our urban kitchen back home, over gas flame but reasonably slow cooked. We used to love it as kids. We also enjoyed shakarkand ke malpue, shakarkand ke roth and then I saw some Bengali friends cooking shakarkand ke gulabjamun with this humble sweet tuber. Shakarkand ka halwa is another favorite with some people. What I like about sweet potatoes, is that it is a powerhouse of healing nutrients, anti oxidants and minerals, enough to call it a super food. Sweet potatoes are one of the best carbohydrate sources so using them for making desserts is a great idea. I have not used any sugar in this rabdi as the sweetness of sweet potato and reduced milk is enough for me. Rabdi is anyway eaten without any sweetening normally, some people use rabdi as a topping of richer sweets like jalebi malpua or gulabjamun and some have it as it is along with some chopped nuts etc. Honey can be drizzled at the time of serving or you can sprinkle some raw sugar over it to add some texture and mild sweetness. 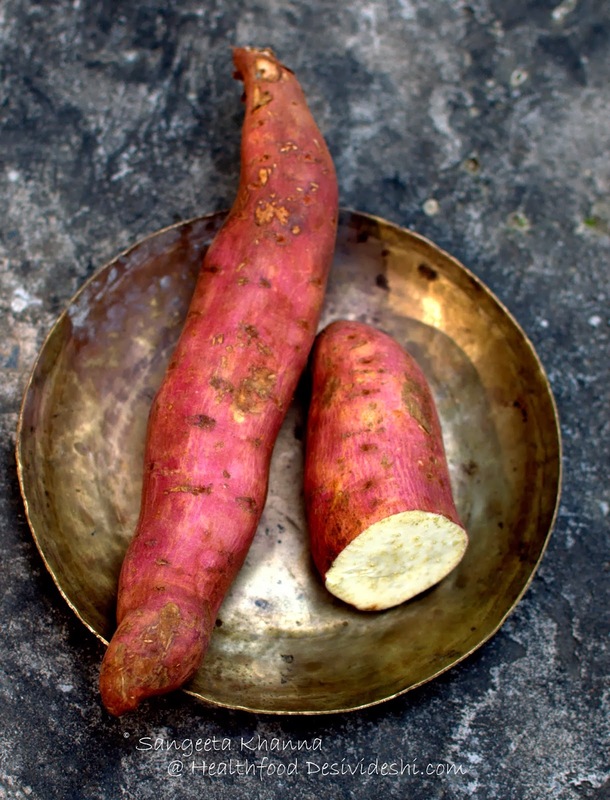 The skin of sweet potatoes is quite nutrient rich and should not be discarded. I use it with skin for my salads but for this rabdi we want a creamy white colour in the finished dish so the skin was discarded. Sweet potato was finely grated and mixed with full fat milk and then slow cooked for about 45 minutes to reach a thick creamy consistency. 150 gm grated sweet potatoes with a liter of full fat milk. Simple recipe but needs some time to cook while you do a few other things in the kitchen. Do not use skimmed milk for this shakarkand ki rabdi, as we need some fats along with sweet potato so the absorption of beta carotenes is possible and our system can utilise the benefits of sweet potatoes. Add chopped nuts to the cooked rabdi if you wish and chopped pistachios and saffron to garnish. I never add saffron while cooking to such desserts, just add them as garnish while the dish is still hot and then cover it quickly so the flavors infuse completely. Do let me know if you like this shakarkand ki rabdi. Skip sugar for desserts wherever possible and see how you start enjoying more natural sweetness. Rabri looks amazing and inviting. Diwali wishes to you and your family. I have never had a sweet potato pudding....looks super tempting! interesting pudding with sweet potatoes. wonderful recipe and am gonna try this pretty soon. love this idea of naturally sweetened rabdi. between the earthen pots are so pretty. hi, i have been following your blog since times and I must say it is amazing. I truly love authentic Indian food. Keep up the good work. Can we add sago rice to this rabdi? 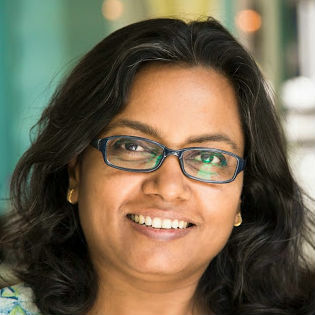 Thanks Reshma, so glad you like what I write. Adding sago in this rabdi will beat the purpose of making it free of sugar in this case. 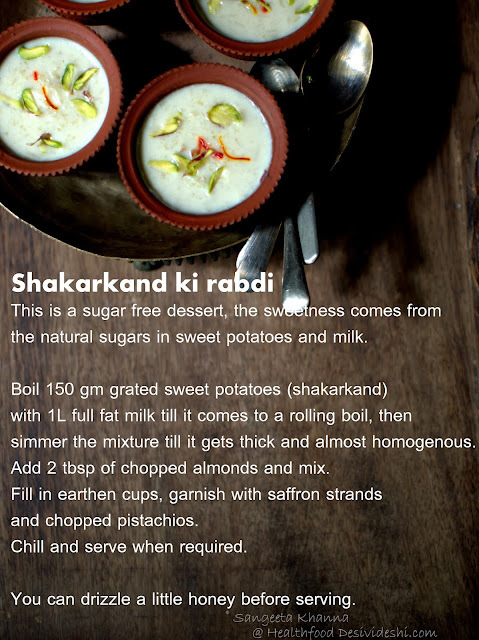 Sweet potatoes are just enough sweet for this rabdi and adding sago will need more sweetening. You can always add sago, or coconut milk etc and sweeten the rabdi more if you wish. i have been following your blog and it is truly amazing! do keep up the good work! Can we add sago rice to this rabdi, to make this into a sort of payasam, maybe some coconut milk as wee? (I am from the south). We add sweet potatoes, colocasia etc while making bhaji, bonda etc. Thats the way aha aha...I love it! This looks yummy. I MUST have a go at sweet potatoes soon. Beautifully shot!